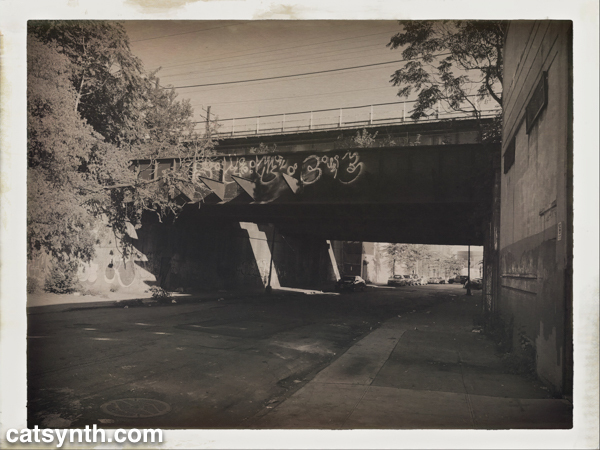 Posted on February 27, 2018 by catsynth	This entry was posted in Art, Featured, New York, Photography, Wordless Wednesday and tagged Art, bronx, graffiti, hipstamatic, new york, NYC, Photography, point morris, train, Wordless Wednesday. Bookmark the permalink. Very nice photo! That bridge has a lot of character. Beautiful photo. Thanks for hosting and I hope you have a wonderful week. I remember when you posted that bridge in color. It takes on a totally different feel in black and white. Love the sepia! Nice mood.